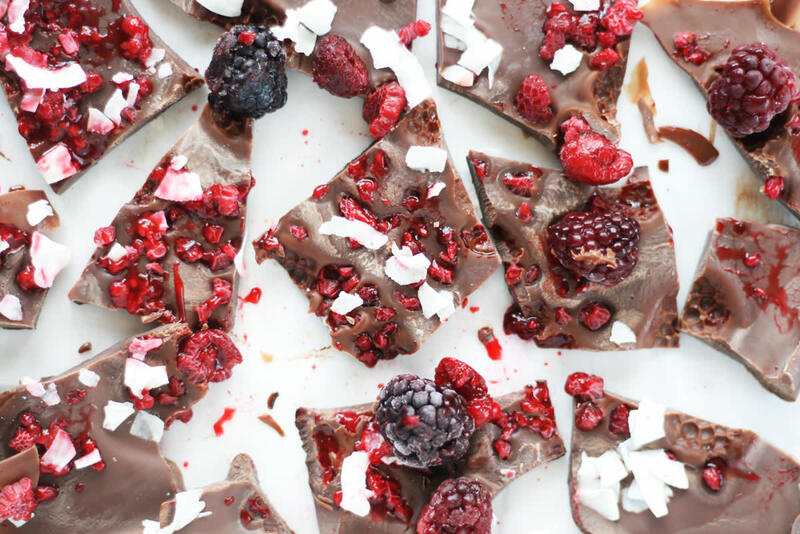 Nothing is more delicious than dark chocolate, except, maybe, for homemade dark chocolate bark studded with frozen berries and coconut flakes. 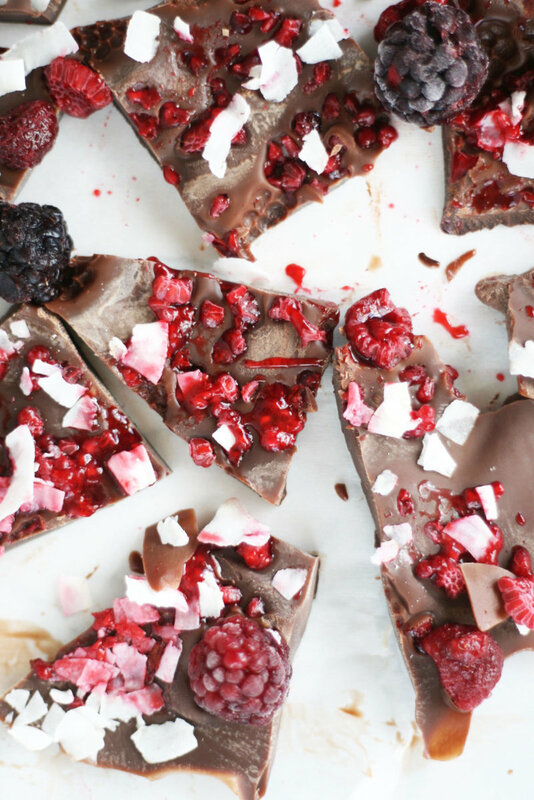 Here’s how to make the most epic berry chocolate bark ever. The base of this dark chocolate bark is cacao butter. 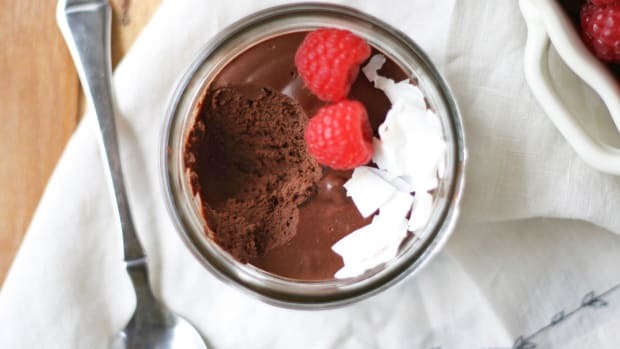 Not to be confused with coconut butter, cacao butter (also called cocoa butter) is the solidified oil extracted from the cacao bean. 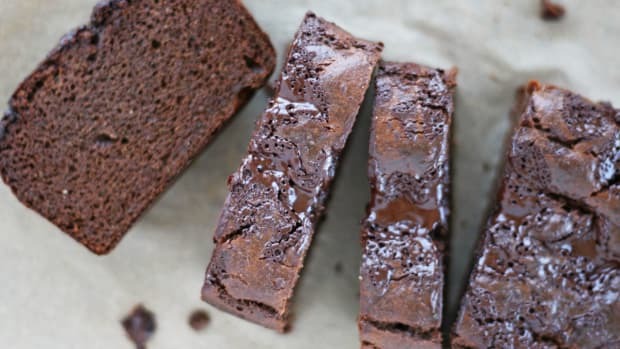 It’s used as the fat source in making chocolate, and gives chocolate bars a creamy, melt-in-your-mouth feel. Cacao butter shares similar characteristics with coconut oil, especially in its medium-chain fatty acid content. The fats in cacao butter are associated with reduced risk of heart disease and hardening of the arteries. These fats, coupled with cacao butter’s high polyphenol compound content, have shown cacao to be an anti-inflammatory food. Cacao powder adds flavor, depth, and color to this dark chocolate bark. Raw cacao powder is loaded with antioxidants and polyphenols - more so than green tea and red wine, according to a 2003 study. 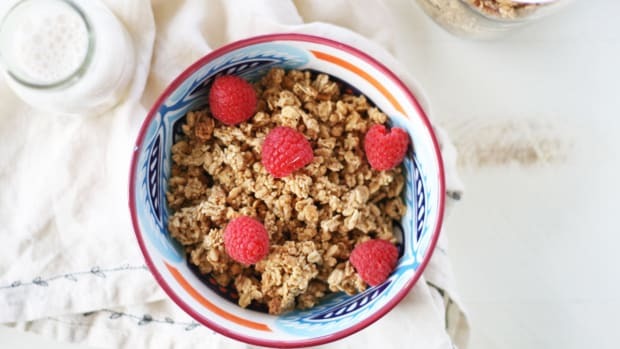 These compounds include theaflavin, epigallocatechingallate, resveratrol, and procyanidin, all of which have been studied for their chemoprotective and heart protective abilities. Frozen berries boost the antioxidant content of this dark chocolate bark even more, while providing a natural sweet flavor. I prefer my dark chocolate bark really dark (without adding in any sweetener), as the berries sweeten it enough. 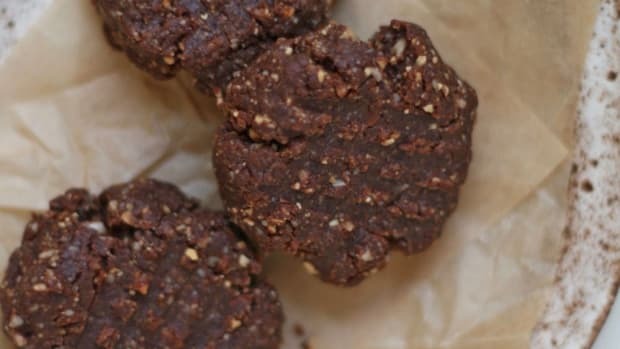 If you prefer a slightly sweeter bark, add in pure maple syrup or raw honey. 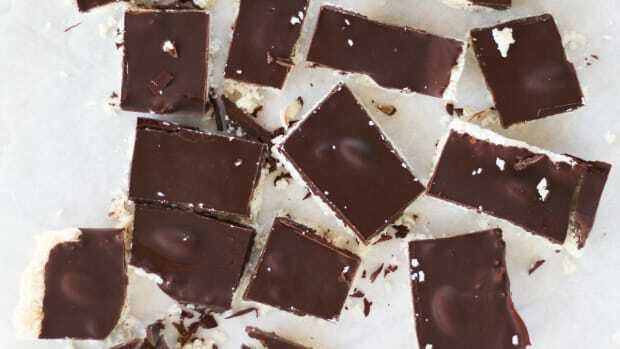 A sprinkle of coconut flakes is a delicious way to add texture and flavor to this dark chocolate bark. 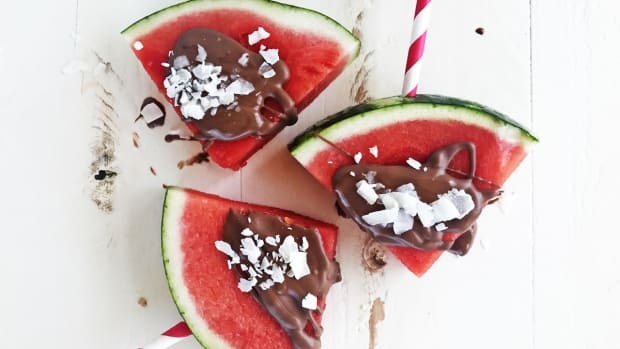 Choose an unsweetened version of coconut flakes to keep the sugar content low. Creamy, decadent, and totally chocolaty, this dark chocolate bark is the most delicious sweet treat ever. Add cacao butter to a saucepan and heat over low heat until completely liquid. Stir in coconut oil until combined. Whisk in cacao powder and sweetener, if using. Line a small baking tray with parchment paper. 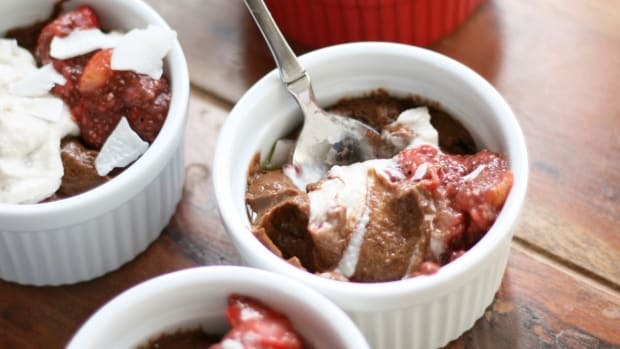 Pour liquid chocolate into baking tray and dot with frozen berries and coconut flakes. Place in the freezer to set for 45 minutes. 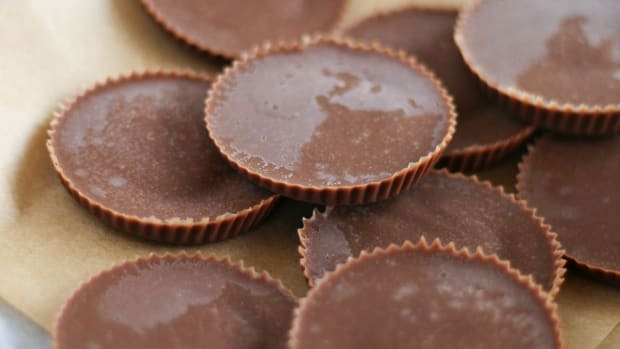 Remove chocolate from the freezer and gently break into pieces. Store chocolate bark pieces in the freezer where they will keep for up to five months.